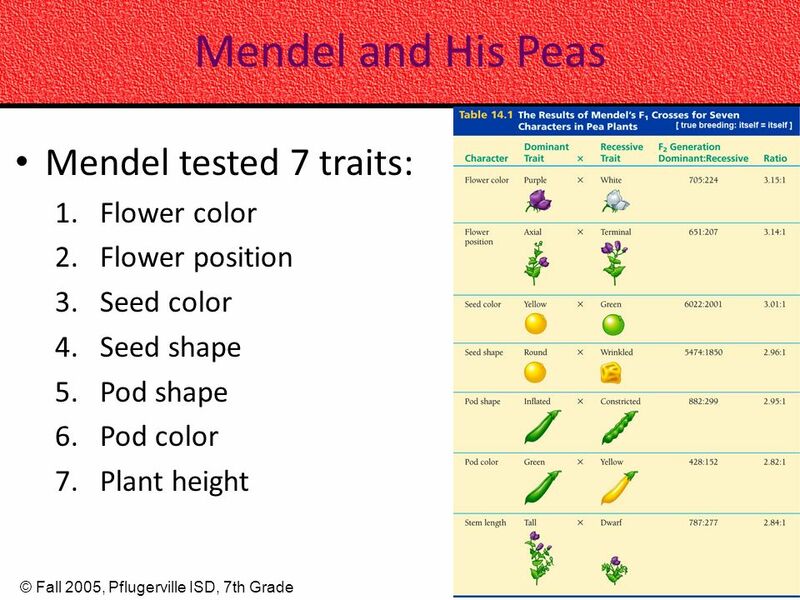 10 Mendel and His Peas Mendel noticed in the first generation, all of the white flowers seemed to disappear. He called this a recessive trait. The white color faded into the background at first. 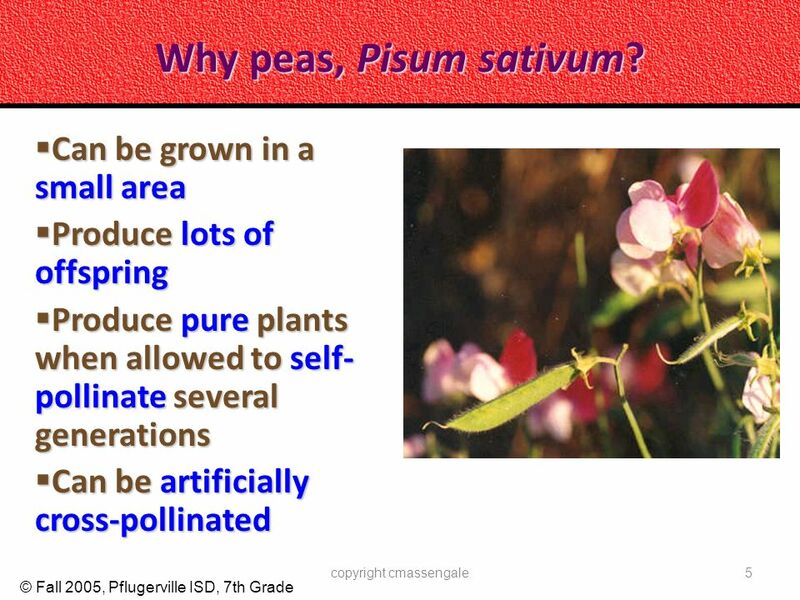 It showed up in the next generation when he pollinated the flowers. 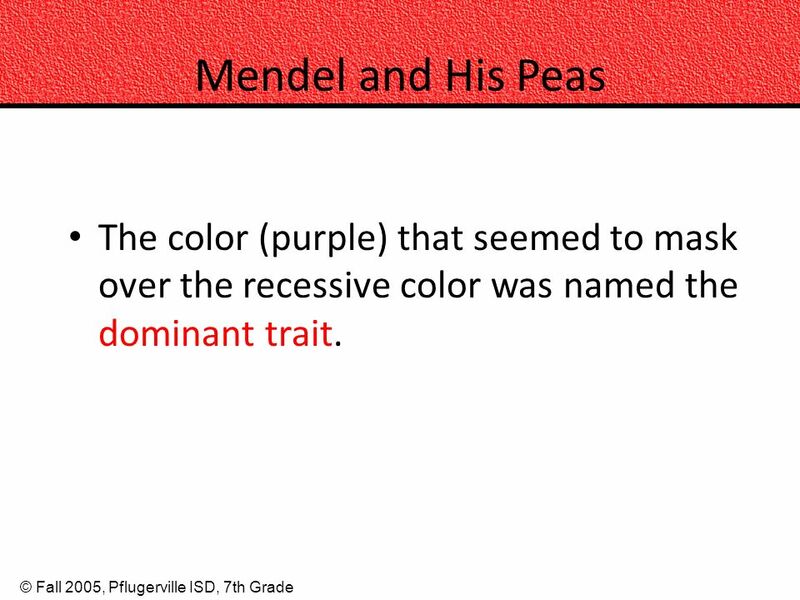 11 Mendel and His Peas The color (purple) that seemed to mask over the recessive color was named the dominant trait. 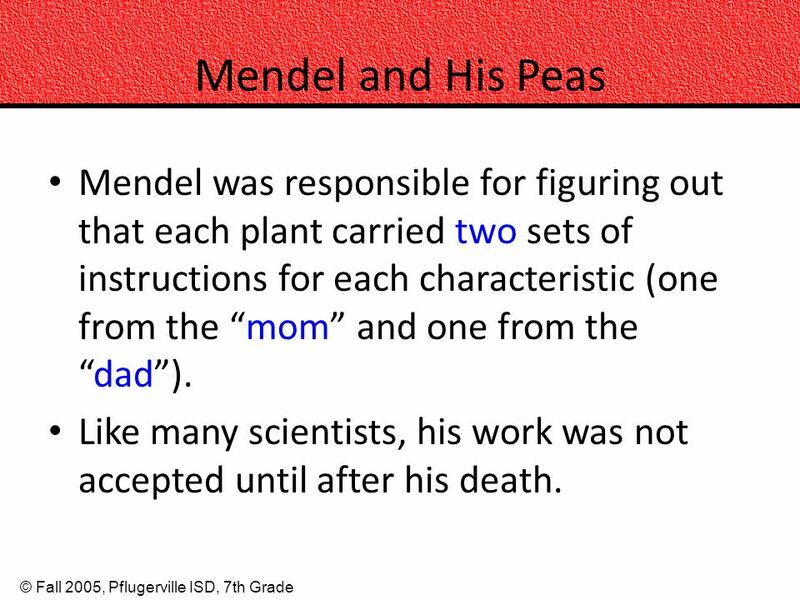 12 Mendel and His Peas Mendel was responsible for figuring out that each plant carried two sets of instructions for each characteristic (one from the “mom” and one from the “dad”). Like many scientists, his work was not accepted until after his death. 13 Let’s Review 1. 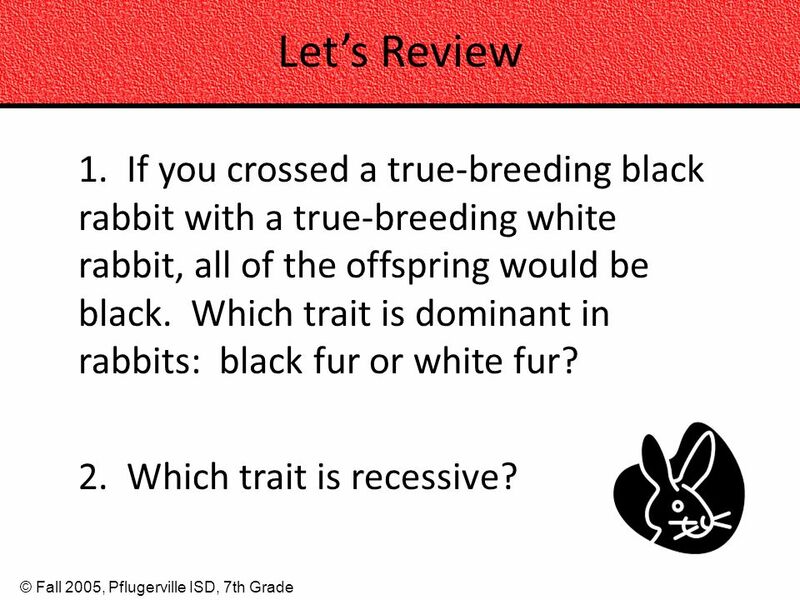 If you crossed a true-breeding black rabbit with a true-breeding white rabbit, all of the offspring would be black. 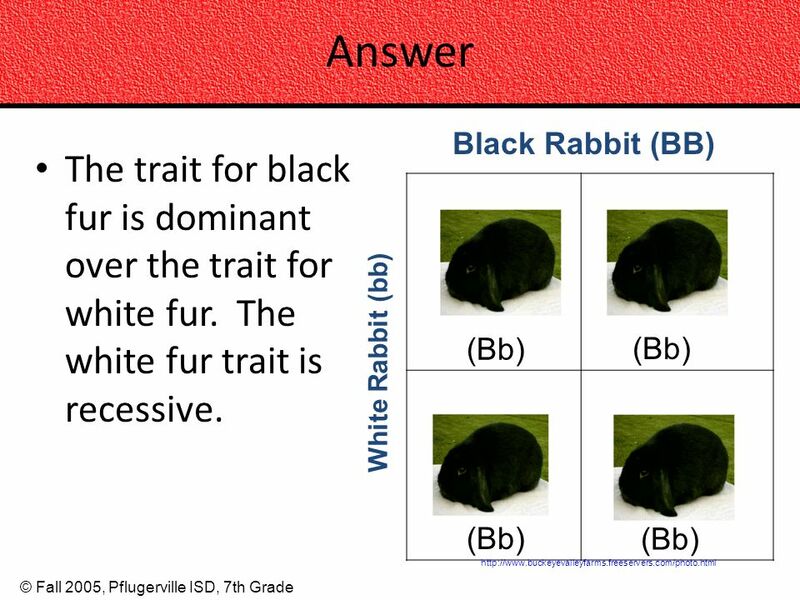 Which trait is dominant in rabbits: black fur or white fur? 2. 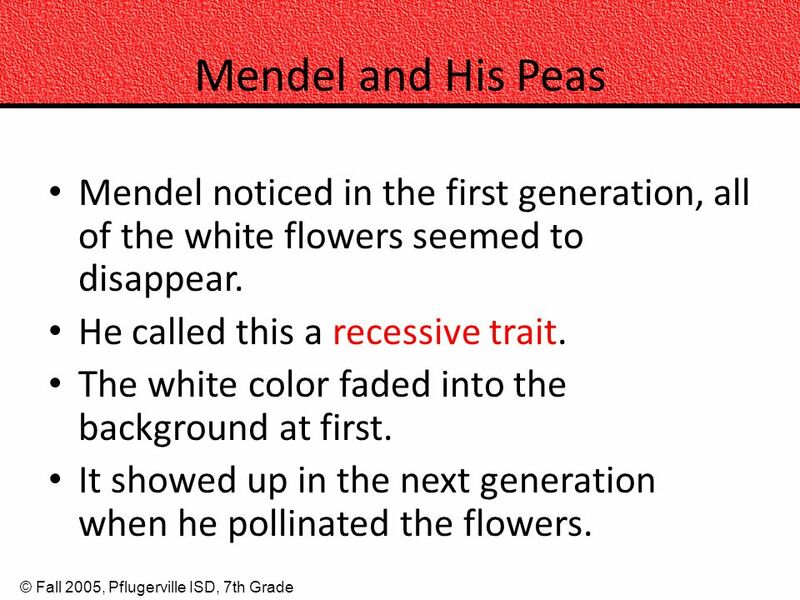 Which trait is recessive? Heredity- the passing of traits from parent to offspring. Self-pollinate- A plant is often able to pollinate by itself because it contains both the male and female reproductive structures. This only requires 1 parent. 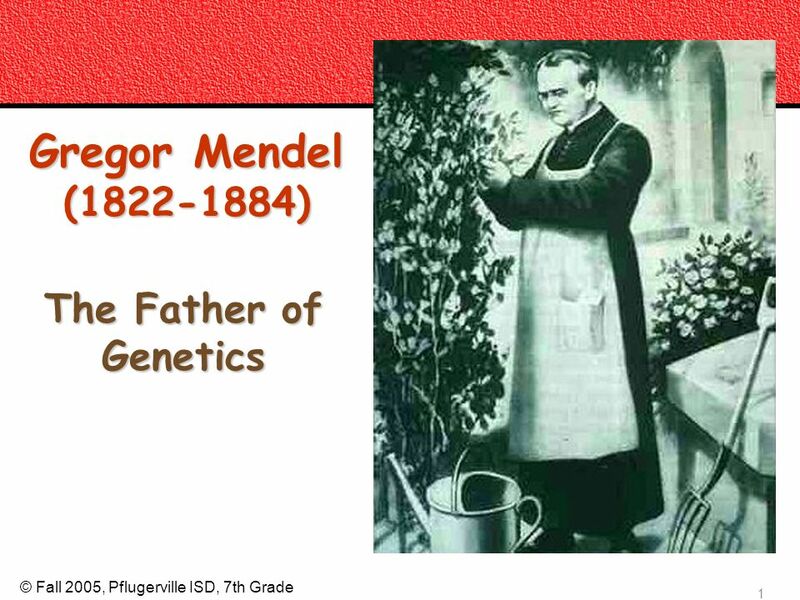 Download ppt "Gregor Mendel ( ) The Father of Genetics Mendelian Genetics"
Mendel’s Legacy Genetics is everywhere these days – and it will continue to become even more important in decades to come. So wouldn’t it be nice if people. 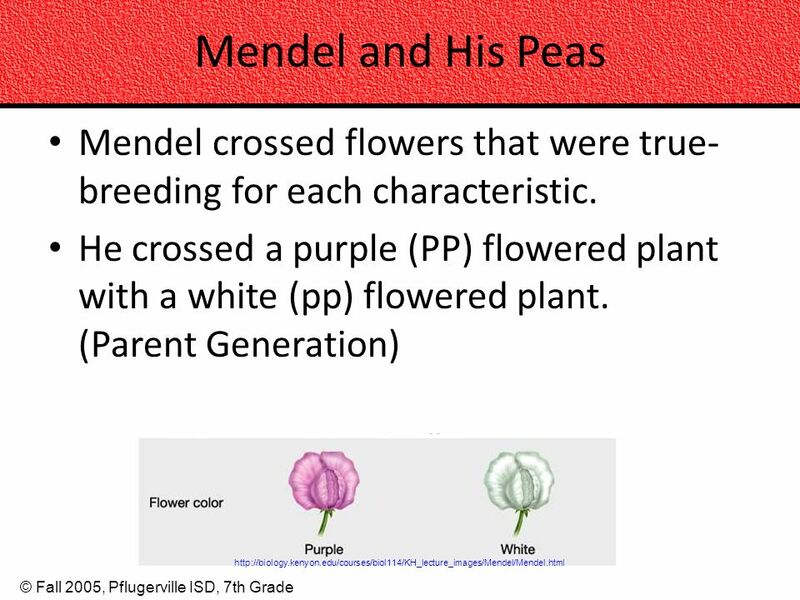 Mendelian Genetics 3/27/2017 Mendelelian Genetics. 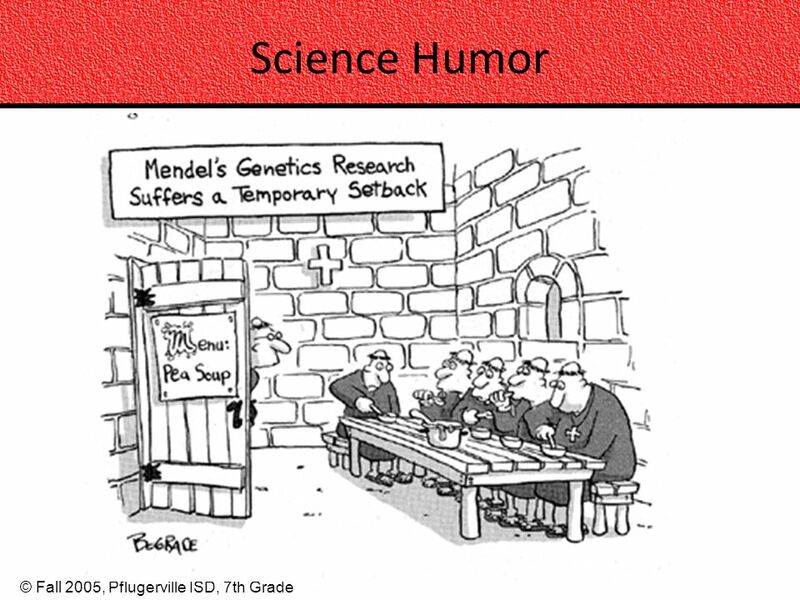 Genetics and Inheritance. Genetics: the scientific study of heredity Genetics: the scientific study of heredity People in the 1770s believed that traits. 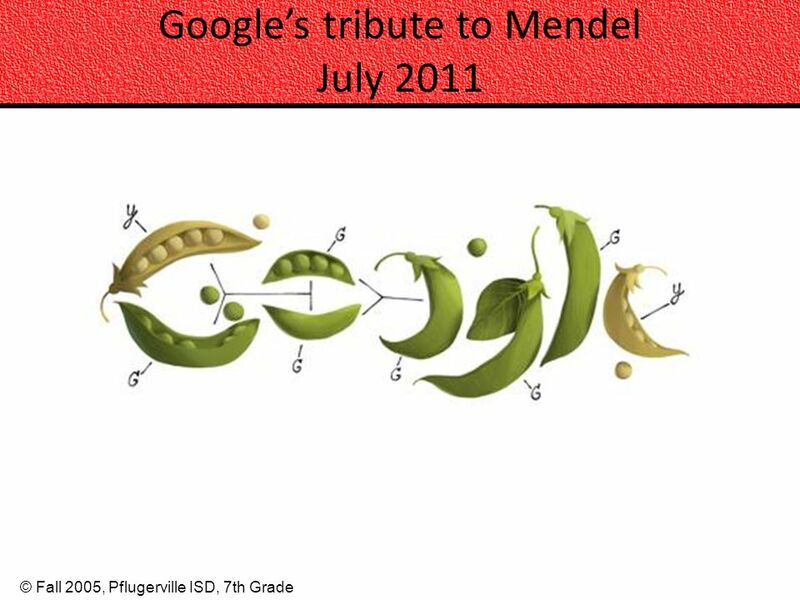 Mendel and his Peas. The passing of traits from parents to offspring. 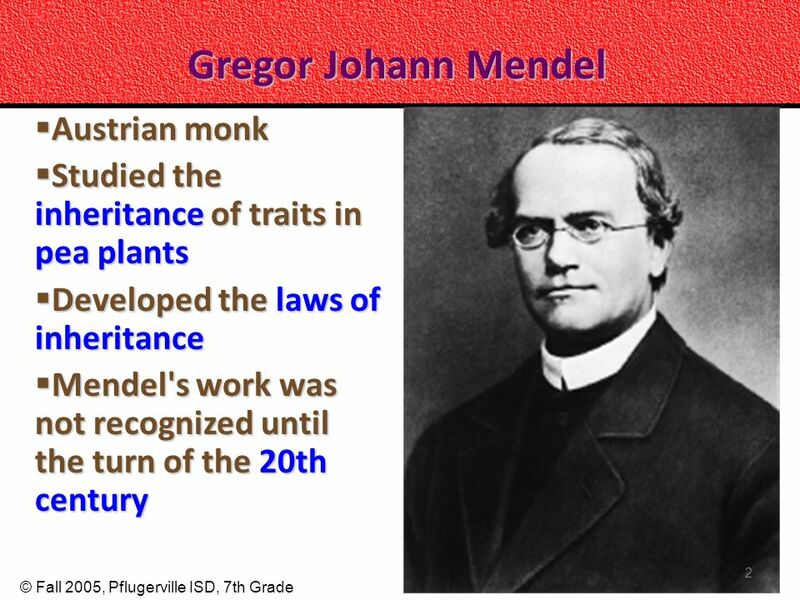 Gregor Mendel Monk and Scientist Father of Genetics  In 1843, at the age of 21, Gregor Mendel entered the monastery.  Born in what is now known as. 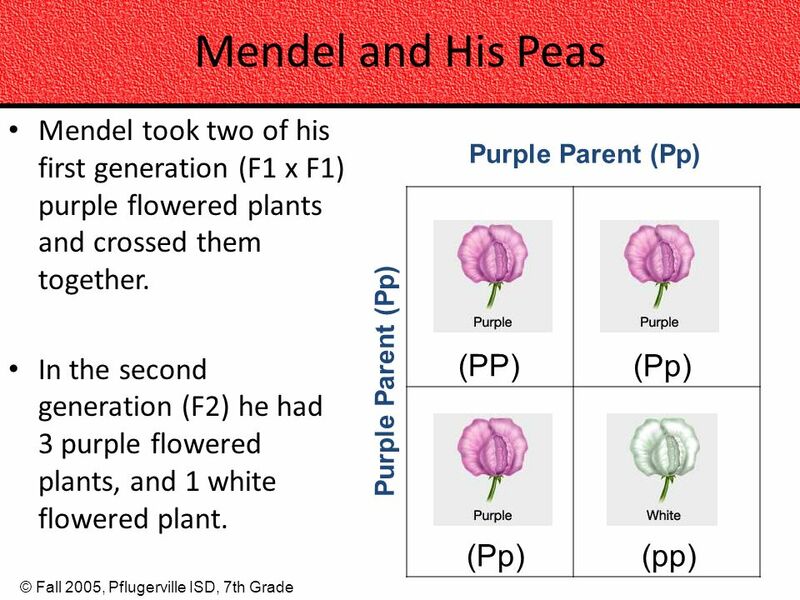 Chapter 5 Lesson 1 Mendel and His Peas. Unit 6 Lesson 4 Heredity Copyright © Houghton Mifflin Harcourt Publishing Company 1. 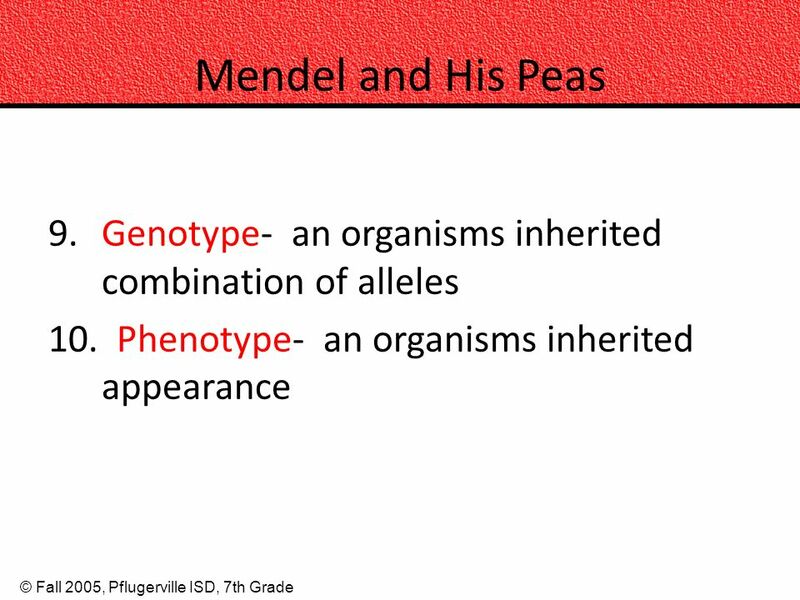 1 Introduction to Genetics All-Star Science 2 Gregor Mendel ( ) Responsible for the Laws governing Inheritance of Traits Genetics Father of Genetics. Genetics. 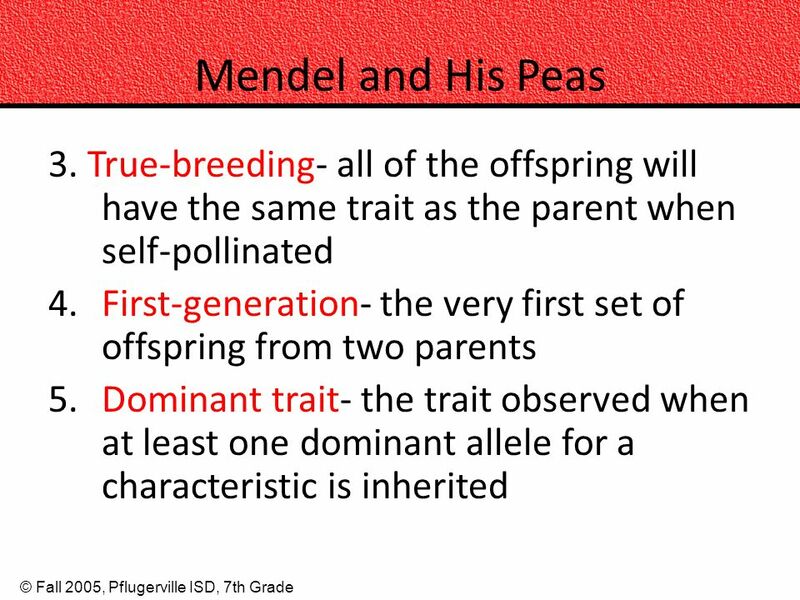 Heredity- passing of traits from parent to offspring Traits- hair color, eye color, height, etc. (are like your parents) -characteristics that. Vocabulary C12L03C12. 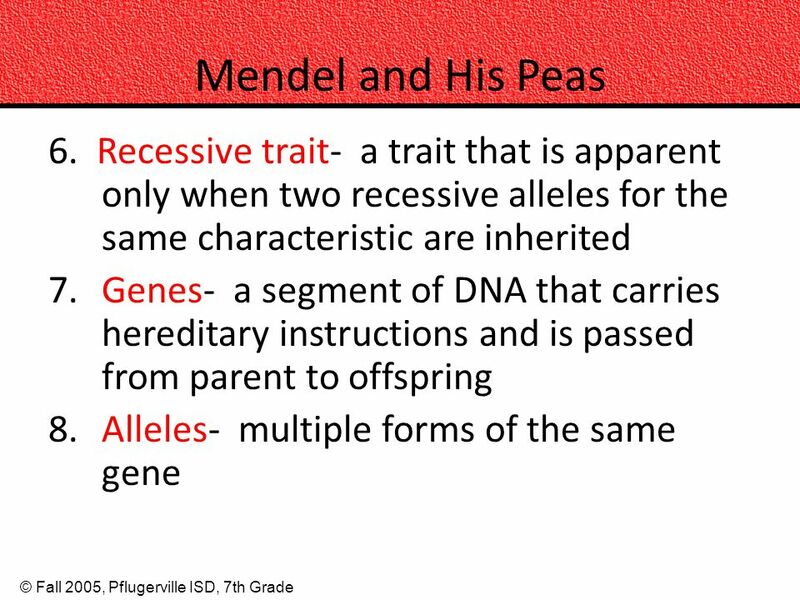 dominant & recessive Allele - alternative form that a single gene may have for a particular trait (dominant & recessive) e.g. flower. 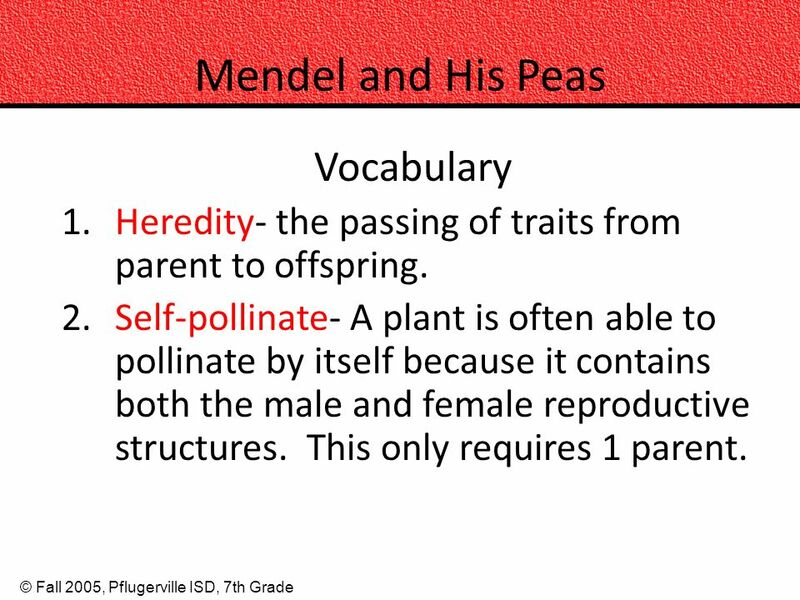 Heredity Chapter Eight: Reproduction Chapter Nine: Heredity Chapter Ten: The Code of Life. 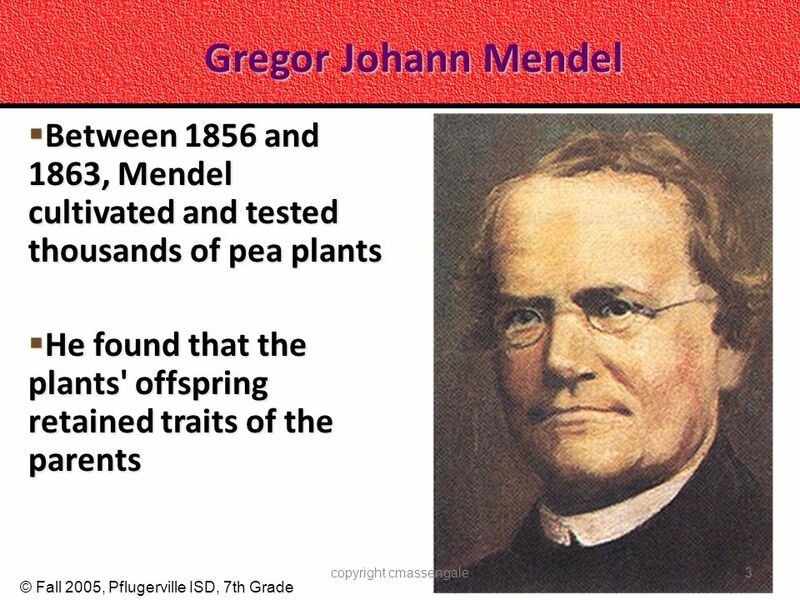 1 Gregor Mendel ( ) The Father of Genetics. Predict and interpret patterns of inheritance in sexually reproducing organisms. 4.2 a. 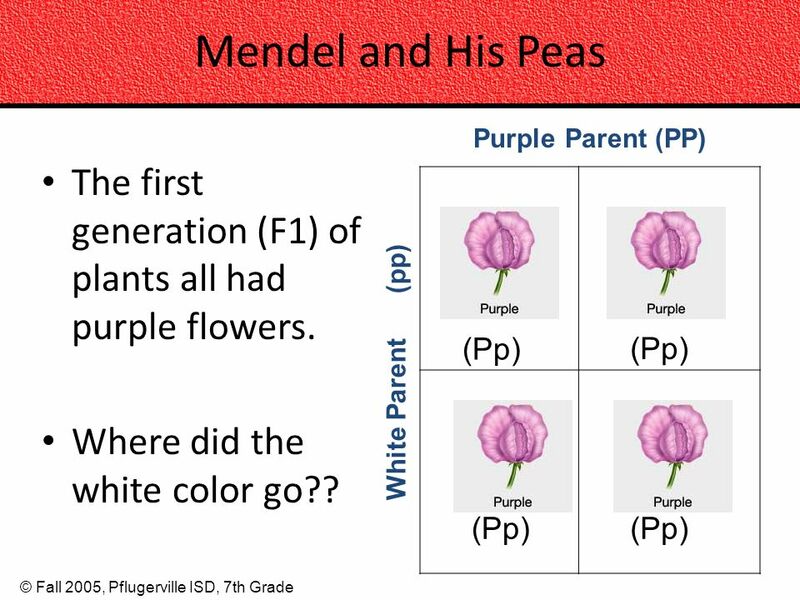 Chapter 14: Mendelian Genetics!!. 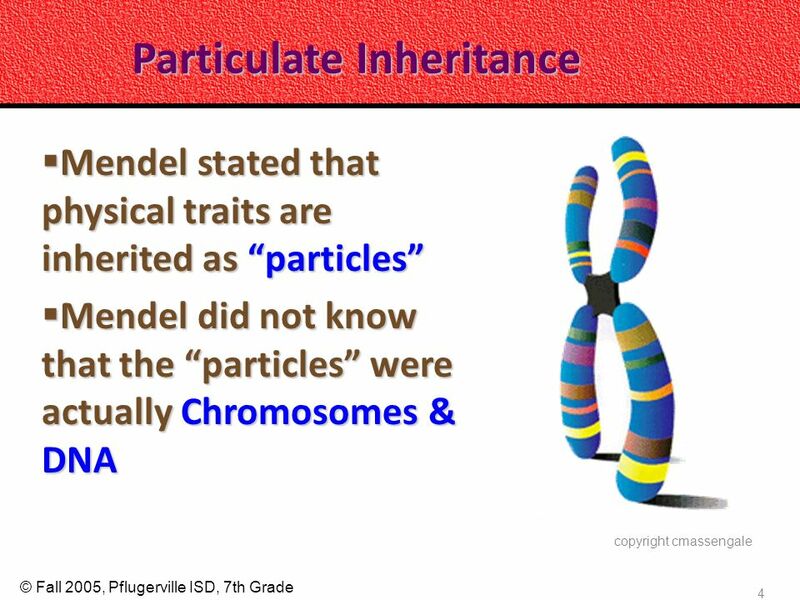 Trait : some aspect of an organism that can be described or measured Gene : discrete unit of hereditary information. Have you ever wondered… … why you inherited some traits from your mom & other traits from your dad? … or maybe you have characteristics that neither of.